Regardless of whether your legal challenge leads to litigation or negotiation, the attorneys at Thompson, Dunlap & Heydinger, Ltd., have the experience you need on your side of the courtroom or the negotiating table. 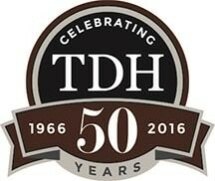 In addition to experience and the knowledge that only comes with years in the legal community, each attorney at TDH also possesses a drive that ensures the protection of his or her clients' rights. During a free initial consultation, you can learn more about the benefits of choosing Thompson, Dunlap & Heydinger, Ltd.